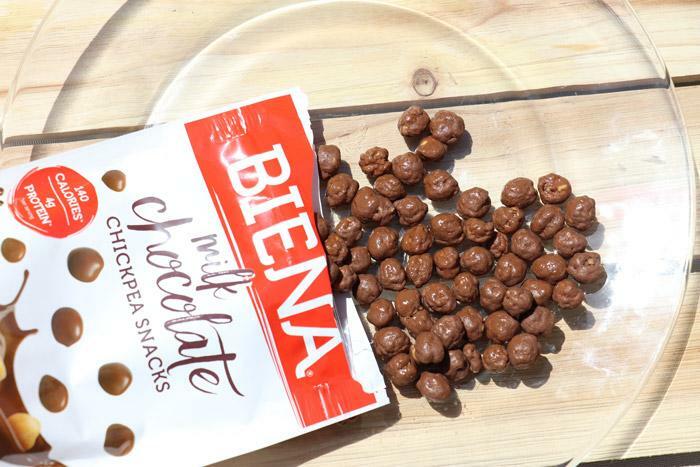 When I first got contacted by the folks at Biena I thought this was a joke - flavored chickpea snacks? Seriously? While I like hummus and I enjoy garbanzo beans when I can find them in a salad bar. However, not once had I ever thought of them as a snack food tossed in flavors like Habanero and Rockin' Ranch ... much less Girl Scout Thin Mint! Yet here we are. I have a dozen or so bags on my table and I can't decide which one I like best. Biena was founded by Poorvi Patodia who was looking for a healthier snack. Inspired by a favorite childhood snack of roasted chickpeas she began to experiment with different flavors and a way of roasting them so that they would be crisp and tasty as an alternative to snacks like chips and pretzels. What she created tastes absolutely delicious though it can be a bit of an acquired texture after the initial crunch. Chickpeas are a surprisingly versatile vegetable that has been enjoyed by humans for more than 7,000 years. In the United States, it is most popular in its mashed form as hummus. As much as I love it in that form, it's not terribly snack friendly. This way however you can easily grab a handful and toss them in your mouth. Chickpeas are packed with important nutrients including 14.5 grams of protein, 12.5 grams of fiber per cup. The carbohydrates contained are "good carbs" that the body is slow to digest and because of the high fiber content it helps make you full. Additionally, it is a great source of other nutrients including vitamin A, C, E, and niacin. 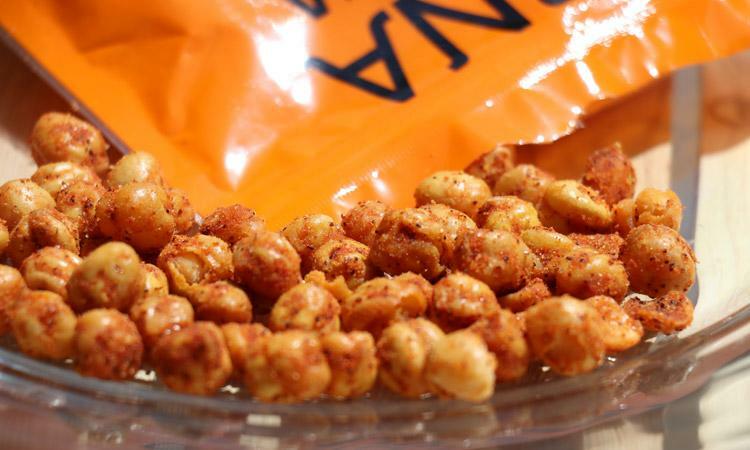 How Does Biena Chickpea Snacks Taste? Honestly, they taste pretty good! It's a bit of getting used to initially, with some flavors needing more adjustment than others. For instance, the Sea Salt, Rockin' Ranch and Habanero were pretty easy to enjoy quickly. However, others such as the Milk Chocolate-covered chickpeas required a bit of an adjustment. I was impressed though that the chocolate seems to be "real" chocolate and unfortunately that means that they began to melt quickly during my photo shoot. It tasted delicious though and the chocolate was more "real chocolate" than "candy chocolate" that I would have otherwise expected. The only downside with all of them is that after the initial crispy and satisfying crunch it sorta turns into hummus in your mouth. That isn't really a terrible thing but it is an acquired experience that is worth noting. Ultimately though, the healthy nature of the snack and the great tasting flavors will help you get over that quickly. If you are looking for something different, healthier than chips or pretzels but providing that savory and salty taste. These are a great option. I'm a fan of the Habanero flavor and you can tell that while it's a packaged product - it's a high quality one. 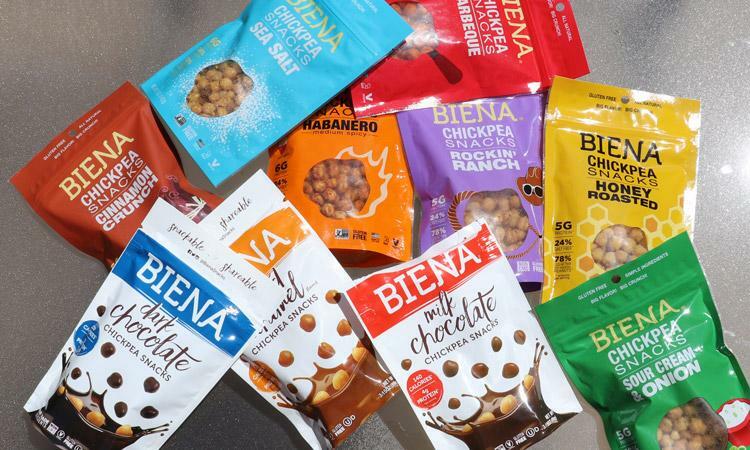 You can buy Biena Chickpea Snacks at retailers nationwide including CVS and Target or you can also buy them on Amazon.com.